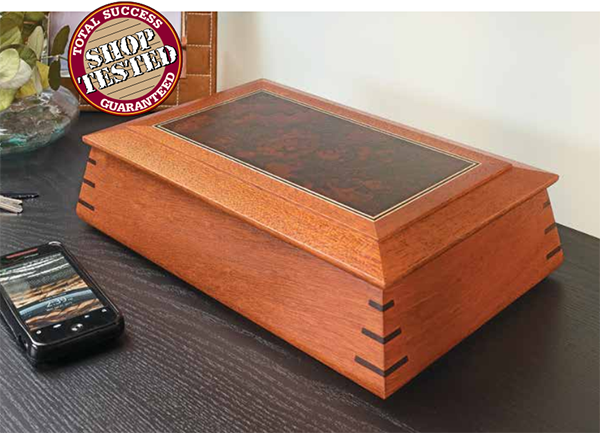 I like the elegant design of this keepsake box. It also takes some interesting woodworking techniques to build it. The hinged lid features a veneered center panel trimmed with thin, inlaid banding. Because the box isn’t very large you can use mostly scrap wood to build it. Any hardwood would be fine for the project, mahogany would be a good option. While this box may be small, it’s a timeless piece that will show off your skills.